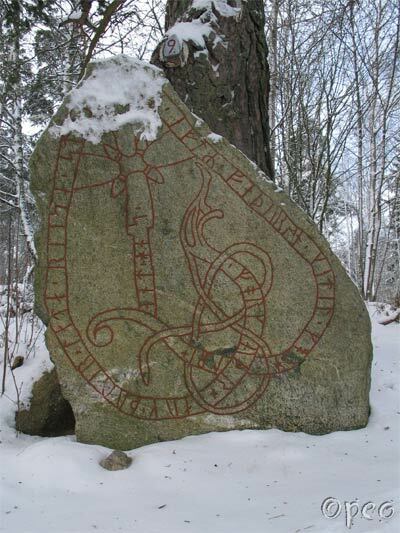 Forkunnr and Þórir have raised these stones in memory of their father Ketill. May God help his spirit. 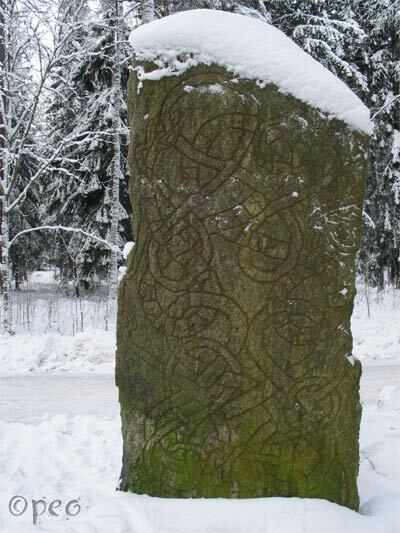 Guðlaug had the stone cut in memory of Forkunnr, her husbandman; and Ketilelfr (also had it cut).